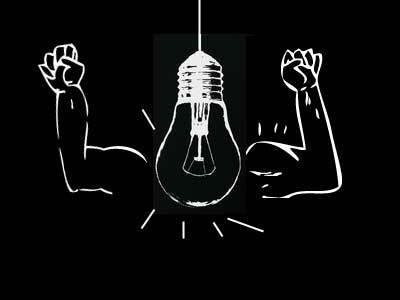 But what good is power if you can’t wield it? Introducing the new StoryBoard Artist Studio 7, the ultimate hybrid [2D and 3D] digital storyboarding solution. It perfectly pairs industry-standard professional power that you can wield. All in an easy-to-use, quick-to-create environment. With StoryBoard Artist Studio 7 you can seamlessly go from script to storyboard. Produce stunning storyreels and animatics for both pitch and production. Storyboard in 2D and 3D. Whether you’re an artist, looking to draw by hand or a director looking for artistic assistance (pre-drawn, pre-rendered artwork) or even a 3D buff* wanting to control every angle – StoryBoard Artist Studio 7 storyboard software has the power you need. *Import 3D elements/files: .skp, .3DS, .FBX and layer into frame. 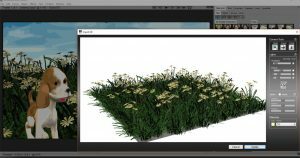 StoryBoard Artist Studio 7’s Paint Canvas gives story artists and animators tools for easy animation and illustration. So use a pressure-sensitive tablet to draw directly into the frame and onion-skinning to produce your animation. PowerProduction’s Montage Print Page is the most powerful storyboard software layout tool on the market. More than just a continuous linear storyboard template, the Studio Version of StoryBoard Artist gives you complete control. As a result, any frame can be places anywhere on the page. Insert any image, overlap frames, show directional arrows to indicate camera movement. The print possibilities are endless! It’s next level in storyboard template layouts at a fraction of the cost of using multiple software apps. New Custom F/X puts the power of the camera into your storyboards. Show Depth of Field, create Shadows and Auto Reverse Shot all with a single mouse click. Add Screens and Filters including Black and White and Sepia tones. Edit image brightness, contrast, color, opacity and even perspective. Fine tune storyboards until you’re satisfied. Rough draft the entire project with StoryBoard Artist Studio’s precision animatic controls. As each frame is created, it is inserted into an a timeline. Therefore, this allows for timing the project – in motion before production! Lock and adjust segments of sequences, sync audio such as dialog, SFX and music, mix and level a full 16 tracks of audio. In addition, save various versions of the animatic to preview an unlimited amounts of edits. While this storyboard software feature is especially helpful to workgroups, the project is in addition quickly viewable and easy to edit! Finally, export your project to just about any format. Export directly to an editor (Final Cut Pro Interchange, Avid NLE, Adobe Premiere CC); take it to advanced video formats or also go online/mobile with exports to HTML 5, m4v, Flash and more! 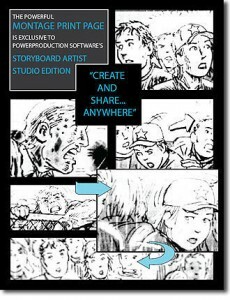 StoryBoard Artist Studio 7 is easy and accessible when you want it and incredibly powerful when you need it! 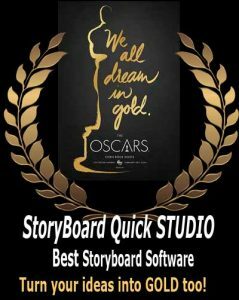 Questions about StoryBoard Artist Studio 7? Ask us in Live Chat – we’re happy to help!